Beaverton-based Mountainwood Homes honored by peers as Remodeler of the Year at the Home Builders Association gala. 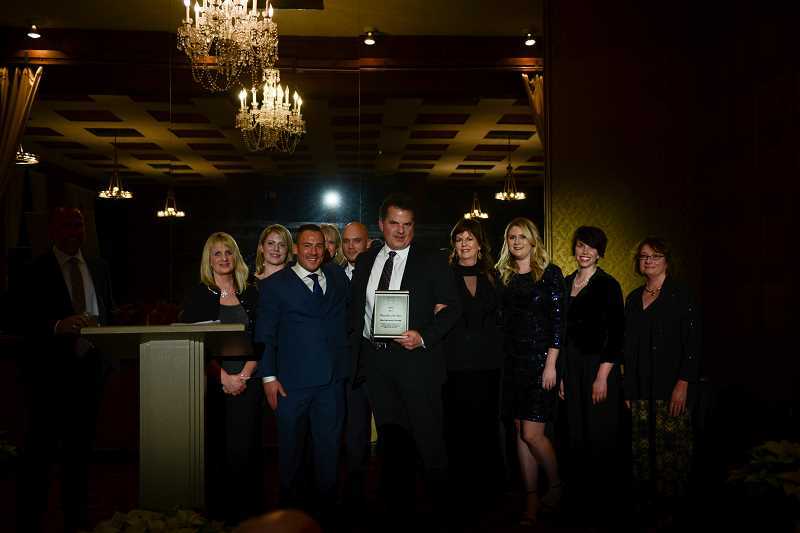 Beaverton-based Mountainwood Homes was named Remodeler of the Year by the Home Builders Association of Metro Portland Dec. 1 at the HBA Builders Ball held at the Tiffany Center in Portland. The award is based on leadership and involvement in the HBA, support of the industry and community involvement. "We are honored to receive this recognition from our industry peers," said Mountainwood President and Owner Robert Wood. "Our team is motivated beyond mediocrity, and we have created a culture of always doing our best. We value the opportunity to be part of an organization that is committed to supporting remodelers with similar values which strengthens our impact within the communities where we live and work." Mountainwood served as builder captain on the Home Builders Foundation's Good Neighbor Center in Tigard in 2017, in addition to continual involvement with several councils and the association's board of directors. Wood is a second generation contractor with nearly 30 years' experience in the building industry. Mountainwood Homes received the same honor in 2013.